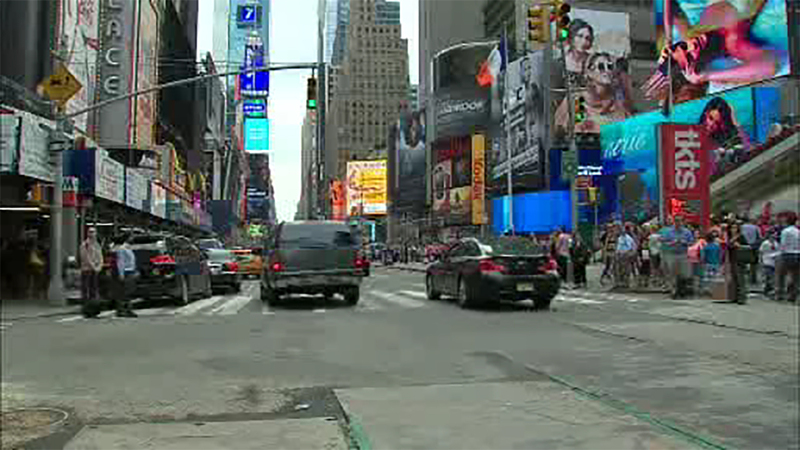 NEW YORK -- A 51-year-old man is behind bars after police say he swung a 3-foot long sword at people in Times Square. Ronald Pearson of Brooklyn began swinging the sword at some point Saturday morning, according to authorities from the New York City Police Department. Investigators said he also allegedly swung the weapon at three police officers as they arrested him. NYPD officers said they uncovered two other weapons on the suspect.